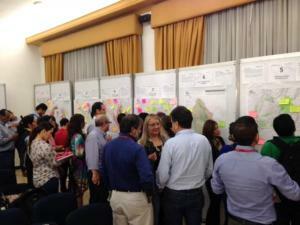 UNCRD has re-started the work of Integrated Regional Development Planning (IRDP) in Latin America. There is a growing demand and interest of Latin American countries to implement IRDP in their efforts towards sustainable development. It was therefore planned to start a project in Colombia, which could provide useful insights to other countries in implementing the IRDP. UNCRD has initiated a technical cooperation for the Metropolitan Area of Bucaramanga: Technical Cooperation to the Process of Formulation of the Strategic Plan of Territorial Organization for the Metropolitan Area of Bucaramanga (PEMOT, Spanish acronym), which is the second largest metropolitan area in Colombia, comprising of four municipalities of Bucaramanga, Piedecuesta, Giron and Floridablanca. To support the process of formulation of the Strategic Plan of Territorial Organization for the Metropolitan Area of Bucaramanga (PEMOT) by providing technical cooperation assistance and training in consistence with the operational framework of UNCRD, promoting integrated regional development planning and management as an instrument to achieve SDGs in the Metropolitan Area of Bucaramanga. The participants included government officials from four AMB municipalities (Bucaramanga, Piedecuesta, Giron and Floridablanca), national government officials, officials from public utility companies, and private sector representatives.